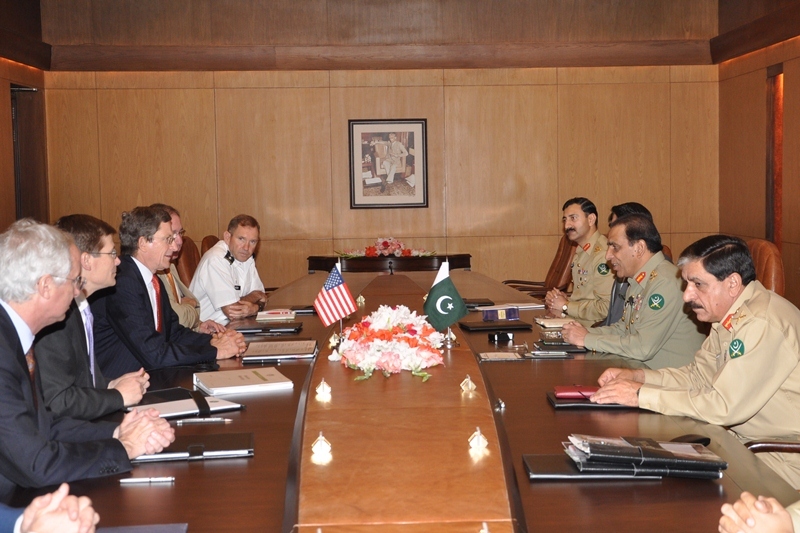 United States Special Envoy for Afghanistan and Pakistan, Mr Marc Grossman, who is heading the first high level delegation after Salala incident, called on Chief of Army Staff, General Ashfaq Parvez Kayani at General Headquarters today and held talks on the subject of bilateral relations. The meeting covered wide range of security issues inline with the guidelines for re-engagement with United States as decided by the Parliament. This entry was posted in ISPR Press Releases, News and tagged Afghanistan, Ashfaq Kayani, COAS, Gen Kayani, Kayani, Pakistan, US Special Envoy. Bookmark the permalink.